MDC secretary-general Douglas Togarasei Mwonzora yesterday appeared before a Harare magistrate facing charges of negligent driving, failure to insure a motor vehicle and to licence a motor vehicle after he was involved in an accident. Mwonzora appeared before magistrate Richard Ramaboa, who remanded him to January 24 on free bail. It is the State case that on May 27 last year, Mwonzora was driving a Toyota Land Cruiser along Tynwald Road in Harare. It is alleged the vehicle was neither insured nor licensed, contrary to the provisions of the Road Traffic Act. 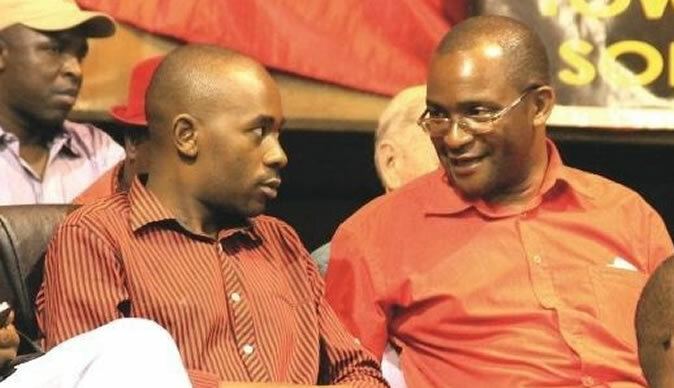 The State alleges that when Mwonzora approached the intersection of Kirkman Drive and Tynwald Road, he reversed and bumped into another Toyota Land Cruiser which was behind him, and was being driven by Onismo Muzhingi. It is alleged no one was injured and both vehicles sustained minor damages. The State also alleges that Mwonzora was negligent after he failed to keep his vehicle under proper control.